Okay, CLE professionals – this one’s for you! With all the educational service platforms and technologies at our fingertips today, it comes to no surprise that corporate eLearning has grown by a whopping 900% over the last 16 years. What’s more, approximately 77% of U.S. companies now offer online training to improve their employees’ professional development. And despite the unique needs of many law firms and other legal organizations, it’s impossible to deny that the world of Continuing Legal Education has quickly followed suit. Up until recently, the success of many law firms and other legal organizations was primarily built on referrals, where word-of-mouth was currency. Bringing in new leads and clients was all about reputation management, networking, and making the most of the visibility you would receive through large industry events and well-known publications. Today, however, 96% of people searching for legal advice now use a search engine – and 62% of these legal searches are non-branded. The majority of people looking for legal services and solutions aren’t using a specific company name. In fact, they’re statistically a lot more likely to use a geographic term in conjunction with the topic of their interest – so for instance, defense attorneys in Boston. Therefore, from a business-to-consumer perspective, your online presence and content, as well as a well-designed, well-optimized and easy-to-navigate website are going to make a significant difference in the way your firm or institution is perceived. It's no secret that marketing is going digital across all industries. 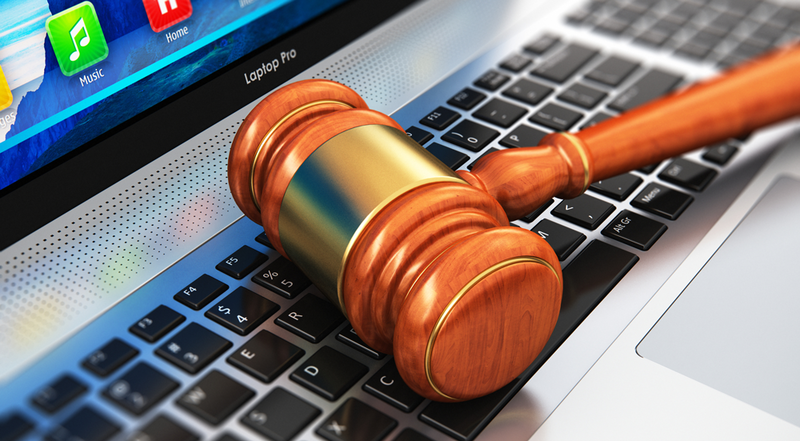 And to keep up with competitors, law firms need to follow suit and adopt fresh legal marketing strategies that accommodate the needs, research habits and buying behaviors of the modern prospect. Without further ado, here’s a look at four legal marketing tactics you may not have tried yet that can pay off big in terms of lead gen results without breaking the bank. 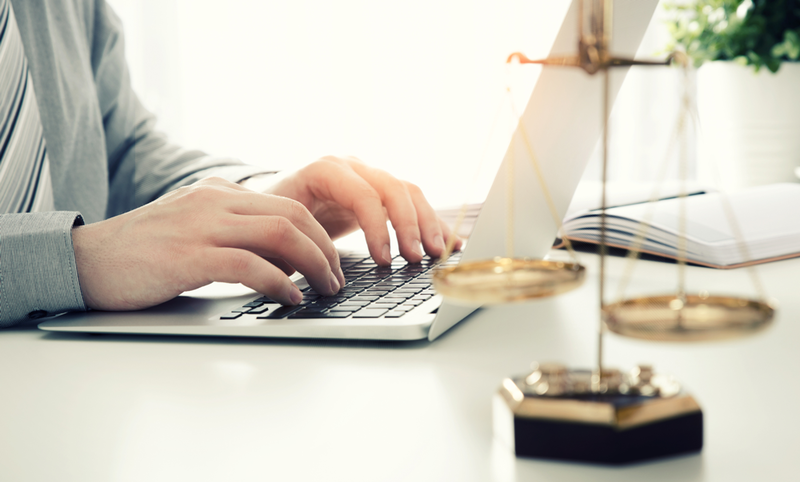 For the new generation of lawyers, traditional forms of learning are becoming obsolete as common practices—such as turning to law digests and lectures for new knowledge and information—are being replaced with online learning programs and webinars. However, legal professionals have plenty of choices and sources to accomplish the completion of their mandatory CLE credits, so it's important for providers to acknowledge and explain the benefits of their program over others. According to the 2015 B2B Benchmark Report, 35% of marketers say they have a documented content marketing strategy and 48% say they have a content marketing strategy, but it is not documented. With the automation tools available to marketers today allowing you to control, maintain and publish your content, emails, and social media, it simply doesn't make sense that marketers are not documenting their marketing plans. 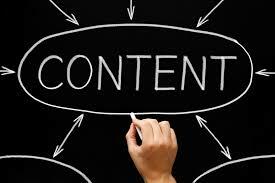 Did you know that less than 27 percent of law firms have blogs? 10 years ago, referral marketing was the main source for finding a law firm. Today, referrals are coming from your good friend Google. And if you’re not crafting relevant, sharable, and searchable content, then you may not be on your prospects radar. 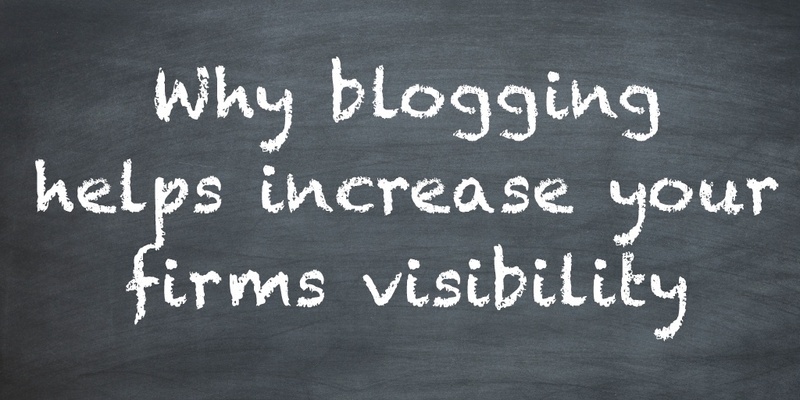 Over the last decade, blogging has become critical to your firm and attorneys online visibility. 94% of consumers say that the vendor name and reputation is important to the decisions that they make. It's your job to create and share your brands stories, and build your attorneys into thought leaders to keep your name in the clients online search. We understand that it takes time to build a blog, but the cliche is correct, if you build it, they will come, eventually. 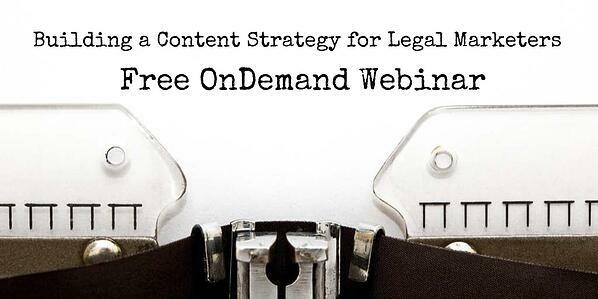 We partnered with the Communications Co-Chair of LMA’s Chicago City Group, Dayna Schmitt, to deliver a complimentary 30-minute webinaron Building a Blog for Legal Marketers. Register today.